I was pretty stoked today to find this jump smock. I rarely see these available on the collector's market. 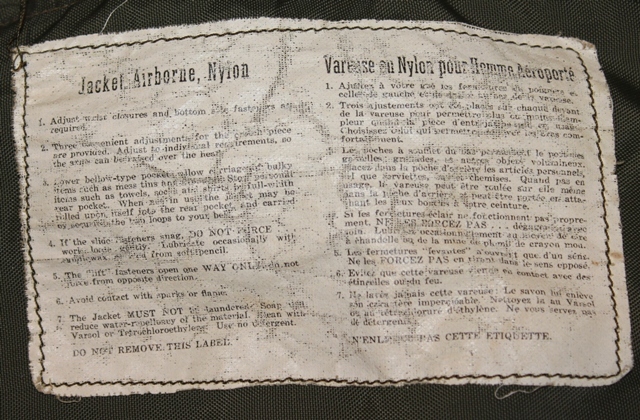 The snaps on the epaulettes have been replaced with standard round press studs and someone was rather careless when removing the name tag but it is otherwise in excellent condition. 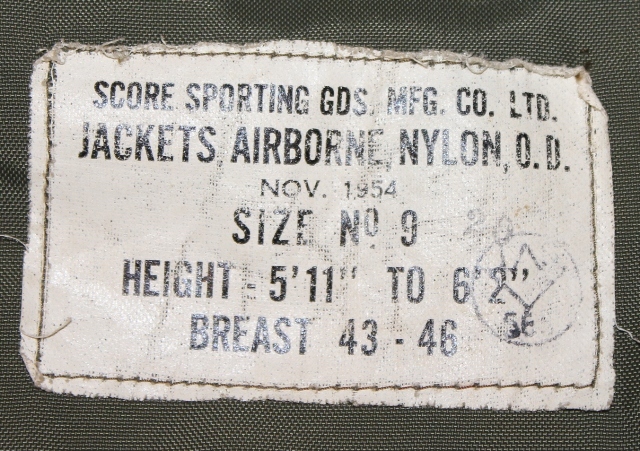 It has not had the parachute material added to the collar like many did, but the waist has been elasticized by the addition of wide white elastic which was another very common modification. Very nice! Your a lucky guy. 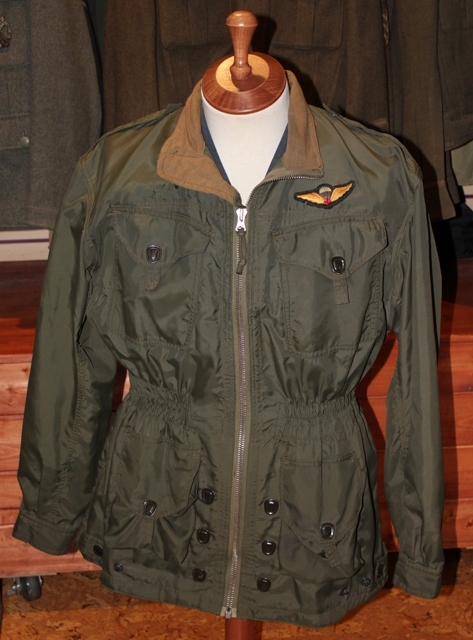 Nice Nylon Jacket Steve, are you going to tell your boss at work as he is looking for one too? 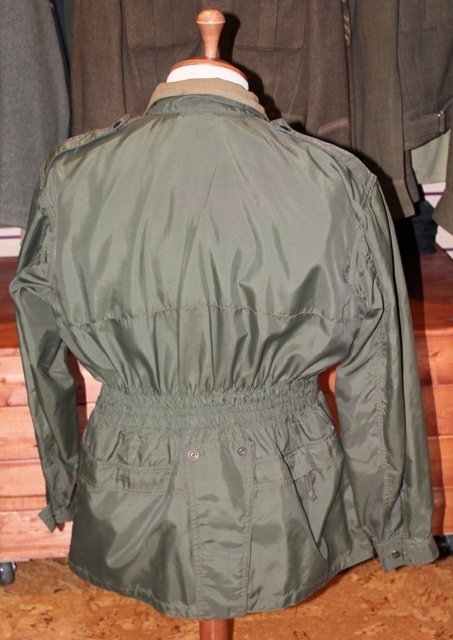 edstorey wrote: Nice Nylon Jacket Steve, are you going to tell your boss at work as he is looking for one too? Ya, the timing is incredible. I will definitely tell him (well, brag really) but whether or not I will part with it is another issue. When I spoke with Del about these smocks a few days ago I never would have dreamed that one would turn up so quickly. And I am still waiting for you to get tired of it and sell it to me BTW. I was hoping that you would have forgotten about it by now I'm in the process of thinning out my collection but I haven't got to the point of selling that type of item.... yet. You know that when the time comes I'll be contacting you.